Iranian opposition leader Mir-Hossein Mousavi has urged his supporters to continue their protests over the disputed presidential election. At least 10 people were killed in a crackdown on protests yesterday and Mr Mousavi said the deaths, and the mass arrest of his supporters, would ‘create a rift between society and the country's armed forces’. 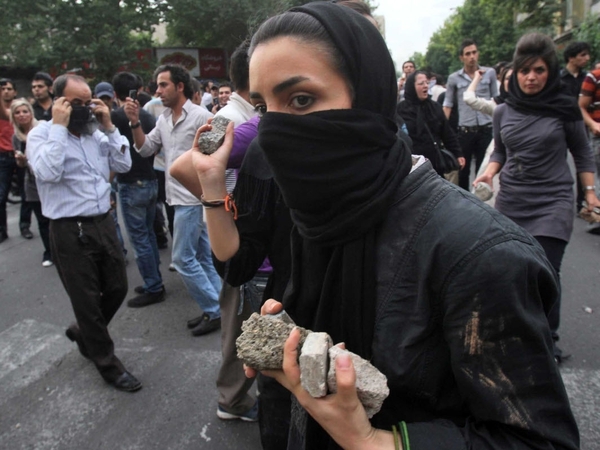 His comments came the day pro-reform clerics stepped up criticism of Iran's authorities after more than a week of unprecedented popular defiance against the leadership of the Islamic Republic. 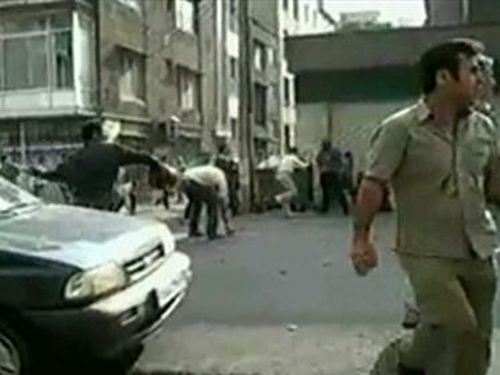 A disputed 12 June election which returned President Mahmoud Ahmadinejad to power has sparked the most violent unrest since the Islamic Revolution which ousted the US-backed Shah in 1979. The authorities have dismissed the protesters as ‘terrorists’ and rioters, an indication of their determination to crack down hard on demonstrations. In pro-Mousavi districts of northern Tehran, supporters took to the rooftops after dusk to chant their defiance, an echo of tactics used in the 1979 Islamic revolution. Government restrictions prevent correspondents working for foreign media from attending protests to report. Earlier, President Ahmadinejad called on the US and Britain to stop interfering in Iran's internal affairs. At a meeting with clerics and scholars, Mr Ahmadinejad is reported to have advised the US and Britain to correct their 'interfering stances' and said hasty remarks will not place them in the circle of friendship with the Iranian nation. Iran's parliament speaker Ali Larijani called for ties with Britain, France and Germany to be reconsidered in view of what he called their ‘shameful’ statements on a disputed presidential election. It has also been confirmed Iran has decided to expel the BBC's correspondent in Tehran. Earlier today, Iran arrested members of an exiled opposition group it accused of ‘terrorist activities’ including setting buses on fire and destroying public property, state television said.